I have a new favorite brunch recipe and it's all thanks to Lent. The Saturday before Easter I was hosting brunch and two of my guests have given up desserts. Never mind that only one of them actually observed Lent and that the other was just jumping on the bandwagon as a dieting tactic, but out the window went my ideas for double stuffed french toast and Belgian sugar waffles. Instead I made the menu savory, but I still couldn't get over the lack of a tart. I had bookmarked this recipe a few weeks back and when I saw pretty blackberries at the store on sale, the idea was locked in. After getting approval for honey from the previously mentioned usurpers, I only tweaked the recipe a little bit to fit what I had and piled on as many berries as would fit on top. It came out amazing. I love how easily the crust came together and how flaky and tender it turned out to be in the end. I would imagine adding just a dash of sugar would make the crust work for any sweet tart you may want to whip up in the future. 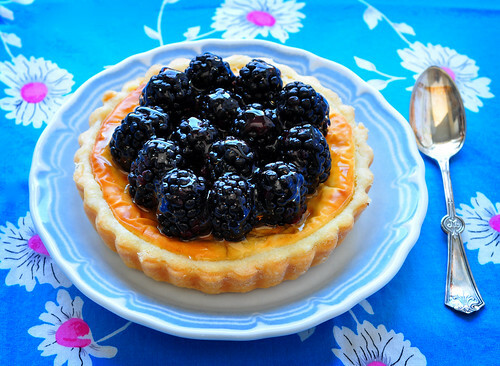 The fact that the tart is best cool was perfect as I could make it the night before and simply add the toppings when guests showed up. And this mini "extra" tart was a lovely breakfast that I shared with my dad the following morning when he came by to help me out with some things around the house. Try it, it's delicious. - Combine everything in a food processor and pulse a few times until the dough is uniform. Turn out onto a piece of saran wrap, shape into a flat disk and refrigerate for at least 2 hours. It will be a very soft dough at this point so you definitely need to chill it to make it workable. - Preheat the oven to 350F. The original instructions tell you to grease a 12x8" tart pan, but I used my 9" round one and didn't grease it and everything still came out beautifully. - On a lightly floured surface, roll out the dough and fit into your tart pan, trimming the edges. Stick it into the freezer. I had some extra dough left over, so I re-rolled it and made an extra mini-tart for later. - Combine all the ingredients in a bowl and beat until the mixture is smooth and uniform. Pour into the pan, smooth the top and bake for 25 to 35 minutes. Once the top is just slightly puffy and golden you should be all set. 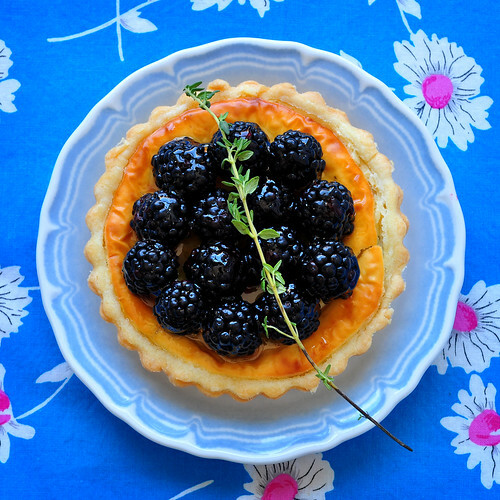 - Let the tart cool completely, top with berries (as many as you like), a drizzle of honey over the top, and shower with the rest of the thyme leaves. Try to share. 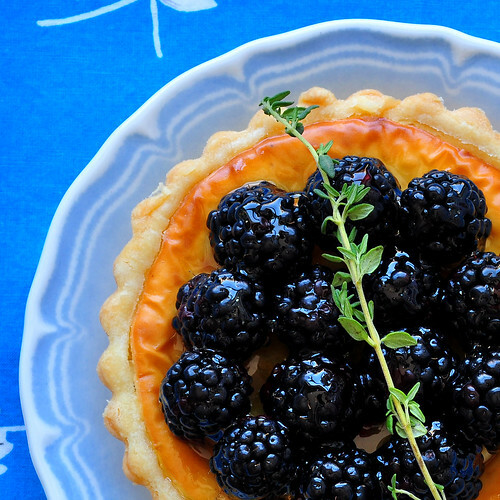 Goat cheese and blackberries combined into one little tart...sounds impossibly delicious! 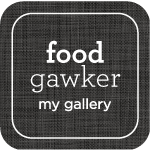 I"m hungry now. Damn you! Step 1: Get more coffee.